In today’s world I sometimes feel like that if an activity is going to have purpose then it has to be done with someone else. Facebook, Words with Friends, Instagram, going to a movie, etc. Stuff is just better with someone else. I’ve never been much for running or working out with someone else. Too much to worry about. Am I slowing them down? Am I going to hard for them? Am I talking too much? Do they see my back flab bouncing? I get so concerned about the person I’m with that I forget to focus on myself. But here lately I have had a change of heart. My best friend Ashley works at an elementary school that has a track and every day she goes out to the track and runs. I’ve gotten many texts over the past few months telling me how fast she was that day or how much she is improving. Parts of me were jealous because she is where I want to be and where I once was. Running comes easy to her. But most of all I am so proud of her for putting her mind to something and sticking to it. Here lately we have been doing a few runs together and it is really helping me. If I’m not excited about them, she makes me pumped. how can you not show up when you have this waiting on you? We recently went with my Momma and let her get a head start on her walking while we stretched. I ran with Ashley until I got to Momma and although we weren’t wearing a Garmin, I knew we were running fast. Running with friends makes it easier but running with someone better than you is what makes you better. This past week we met to run the old road (a perfectly flat and scenic 3.1 mile course) and although I didn’t say it out loud, my goal was to run to the turn around which would be farther than I have ran without stopping in a while. Usually if I even make it to 1 mile without stopping then I stop as soon as my watch beeps. So we took off and it was decided we would stay at a comfortable pace and not go all out even though Ashley probably wanted to. When our Garmins beeped at one mile she coaxed me to NOT stop. Thank the good Lord we made it to 1.5 mile mark. Woohoo. When I stopped for a walk break I told her she could go on but she stayed with me. Friendship at its finest, folks. After a quick walk break we picked it back up and ran another mile. I had to stop one more time for about a minute and a half to catch my breath but once we started running for the final time, I knew I could make it all the way back. Not our fastest three miles, but I am proud of the continual effort I made of not stopping. It felt so good! 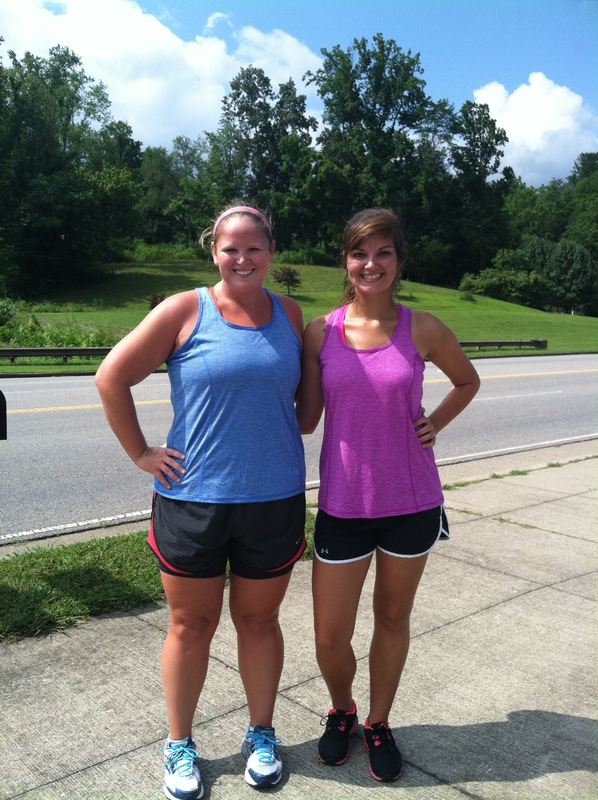 Running with friends really does help. If nothing else, it is motivation to actually show up to get the miles in. My best friend is inspiring me on a daily basis to get back to where I once was in terms of running and is pushing me past what is comfortable. Hopefully by the end of the year I will be faster and we can smash some PRs together. 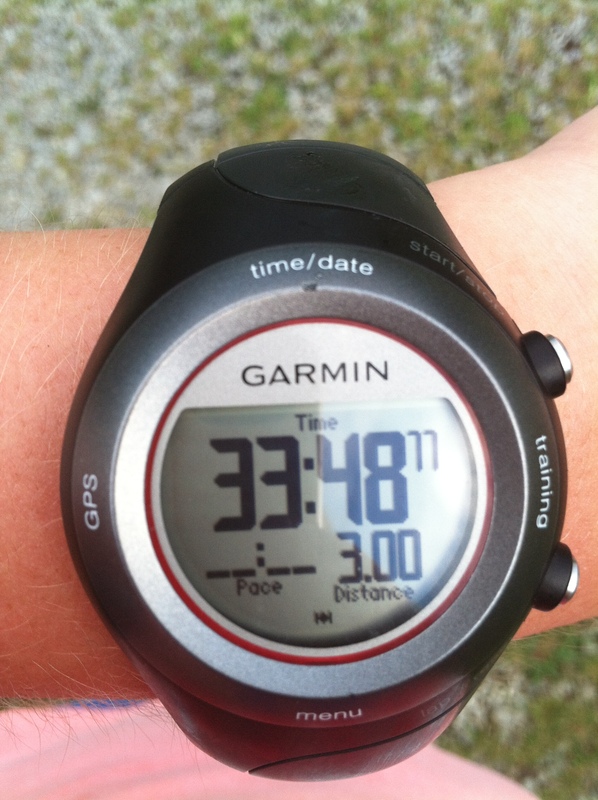 This entry was posted in Workouts and tagged accountability, running faster, running with friends by thegogirlblog. Bookmark the permalink. Running with a partner definitely has its benefits. 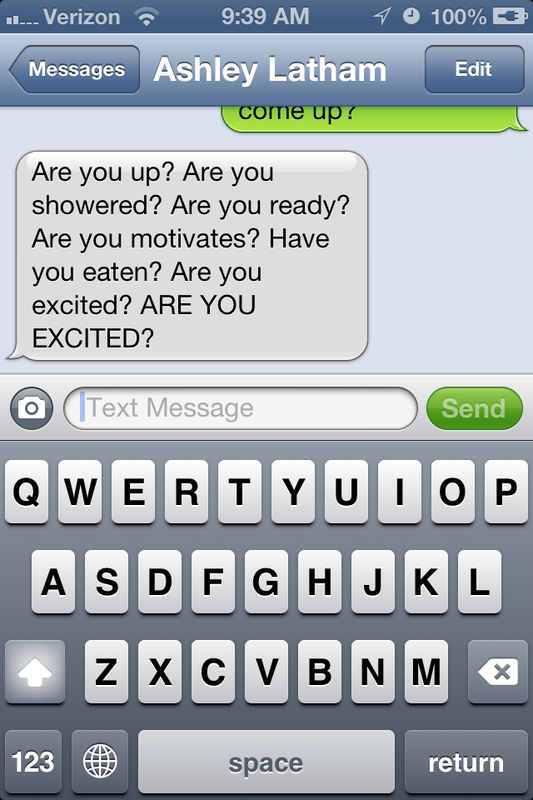 It’s awesome that Ashley is so motivational haha! You did a great job pushing yourself! Oh I can so relate to the workout partner worries!! I do it too 🙂 but glad you enjoyed it!!! Sounds like she’s quite the motivator!! !